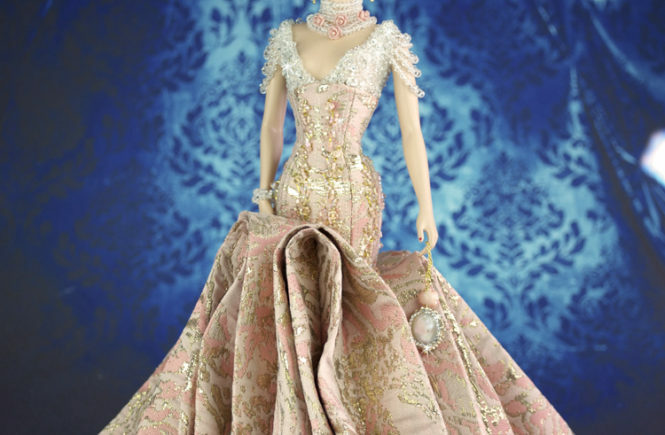 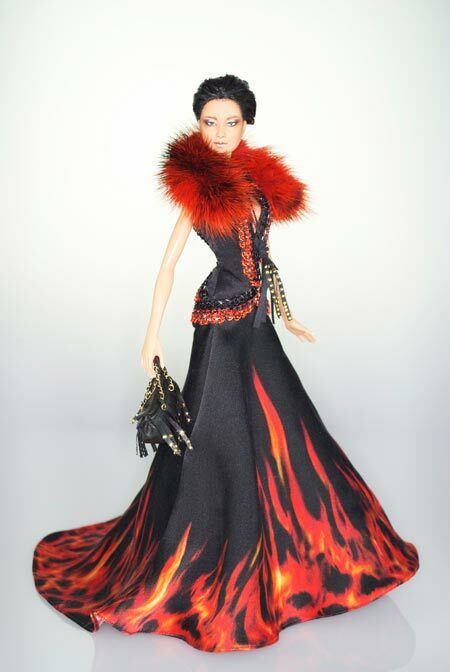 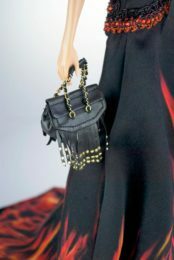 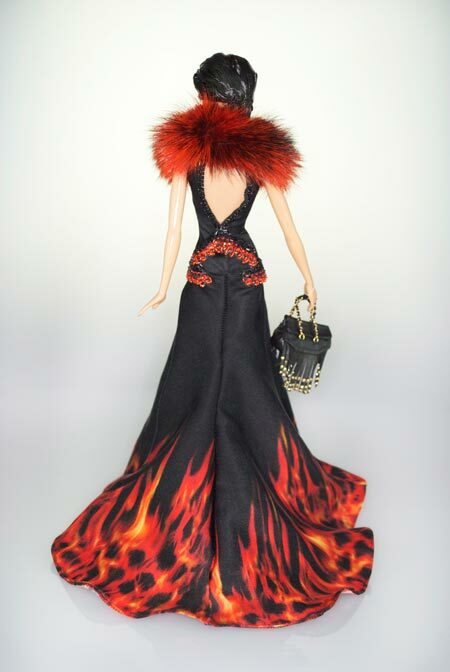 This is a special commissioned doll by Italian fashion designers, Roberto and Eva Cavalli, especially created in replica of their runway outfit. 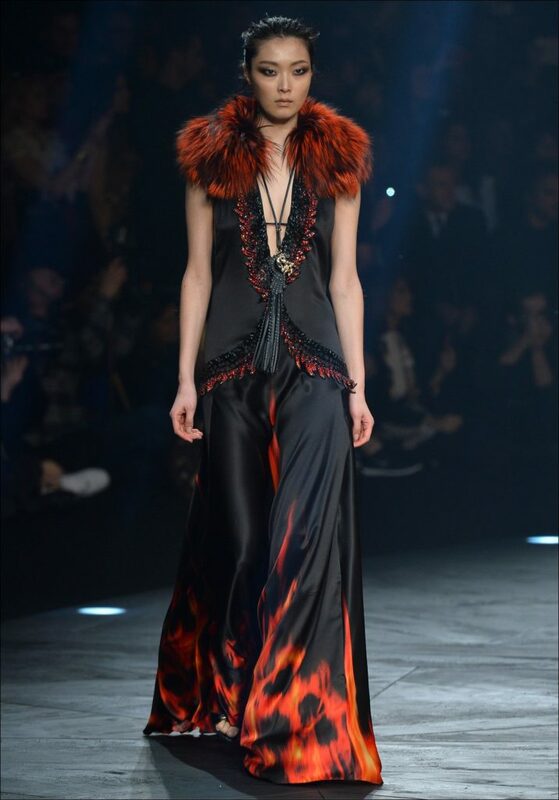 She is wearing a replica of Fall 2014 Ready to Wear look. 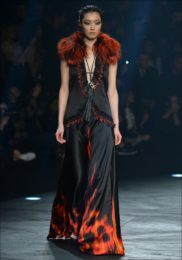 The fabric has been printed in proportion to the original, the top is handembroidered with black and red beads and all is enhanced with a real red and black mink fur. Bag and necklace ara made in leather with metal golden studs. 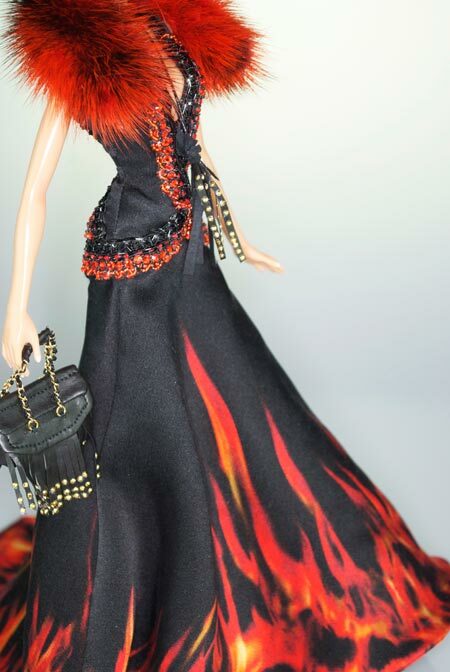 She also received a full facial makeover, repainted with professional acrylic colours and sealing. 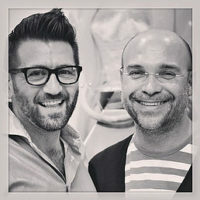 Hairstyle handcrafted by Magi2000. 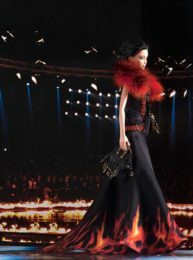 Special Thanks to Roberto and Eva Cavalli.